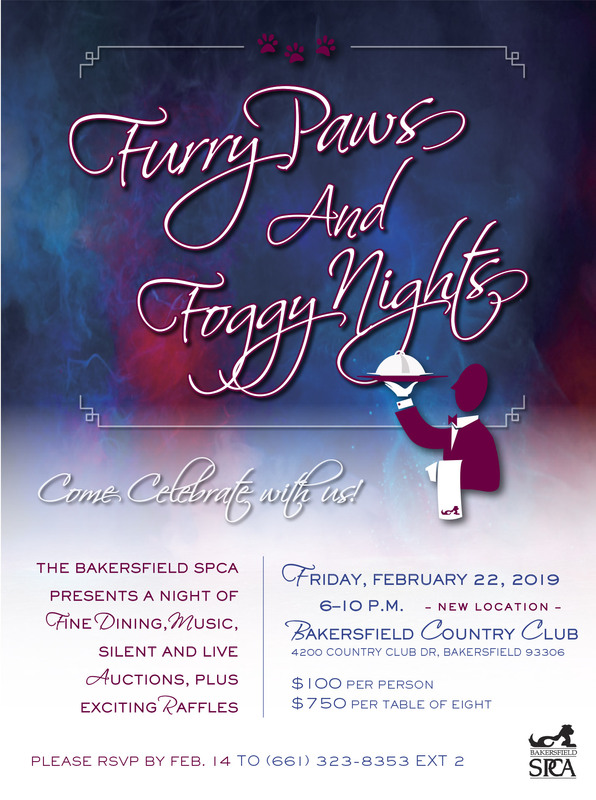 Bakersfield SPCA’s Furry Paws and Foggy Nights will transport you to an evening of celebration and fun. Friday, February 22, 2019, 6 to 10 p.m.
Bid on unique silent and live auction items while enjoying some of the best jazz around.Dine on scrumptious food provided by the great Chefs at the Petroleum Club. Enjoy wonderful cocktails by the Club’s mixologists.